In this workshop, we will use Contact Improvisation as means to discover and practice somatic principles of listening with our bodies, practicing kinesthesis and continually discovering movement efficiencies. This improvisational form explores movement of the body through partnering, points of connection that can include weight-sharing, counter balancing and momentum. As dancers move so do the points of contact creating new possibilities for movement and directional pathways. Dancers focus on somatic (bodily) awareness and physical reflexes rather than controlled movements. In this hyper aware state, movers listen to their partners and the environment to cue shifts in direction, velocity, and momentum. Additionally, quality of touch emerges and is fostered between partners in this dance form. All levels of movement experience--from none to some--can explore the form to learn skills that can be applied to performance/life. In this class we will warm our way from the floor activating a strong core and sturdy base towards verticality while exploring every inch of space along the way-- this involves sliding/gliding, folding/creasing, a juicy relationship with the floor, connection to breath and partners, discovery of weight and weightlessness, swinging, pouring, falling, flying and anything else that may inspire us on the way...and always, musicality! This class will focus on quadruped movement, moving in and out of the floor with ease and using momentum to one’s advantage. The work requires full-bodied movement in all planes of the kinesphere. Gregory Catellier is a dancer, choreographer, lighting designer, and teacher. He started dancing during his two years at Webster University's Conservatory of Theatre. He went on to receive his Bachelor of Arts in Dance from Arizona State University. Upon graduation, he danced for various choreographers and companies in Phoenix and New York. He received his Masters of Fine Arts degree from The Ohio State University where he concentrated on dance lighting design and production. Catellier is active in the Atlanta dance scene as both a dancer and lighting designer. His choreography has been selected for American College Dance Festival gala concert, the Modern Atlanta Dance Festival and the Handful Series in Athens, Georgia. 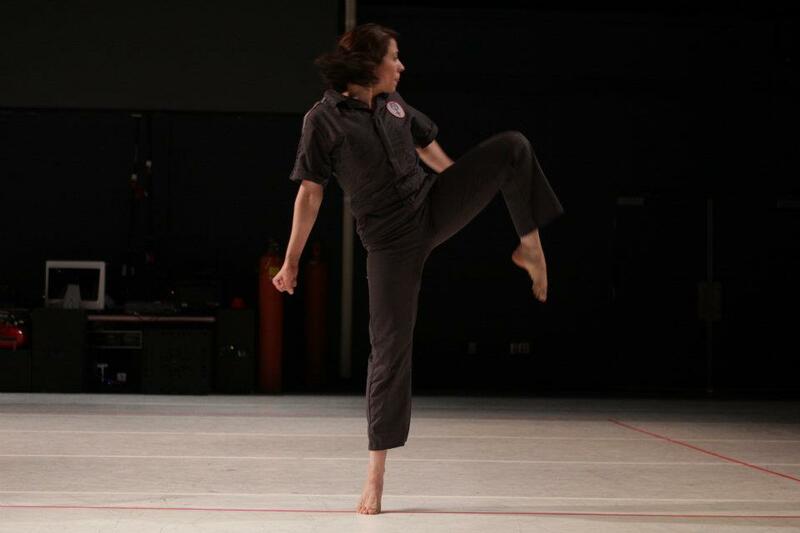 Kristin O’Neal is a performer, choreographer and teacher in Atlanta, GA. She teaches modern technique and contact improvisation at Emory University as well as at CORE Performance Company where she also works as Rehearsal Director. Her twenty-five year performance career includes venues on concert stages to various site works in avocado groves, restaurants and any kind of water resource imaginable. For Kristin, dance exists in every facet of life. She assists in the operations of National Water Dance, a movement choir that activates artists and their communities to spread water awareness across the nation:www.nationalwaterdance.org. While also creating and performing solos inspired by her Great Aunts, Kristin dances and collaborates with her dance and life partner Greg Catellier of Catellier Dance Projects.